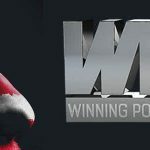 Effective immediately, the Yatahay Poker Network, one of the remaining poker networks that still accepts U.S. players, has rebranded and changed its name to the Winning Poker Network. The rebranding includes a full makeover of the website and logo. The network is made up of skins such as True Poker and 5Dimes. Also found on the network is America’s Cardroom, which recently relaunched in the U.S. market following the purchase of DoylesRoom in October of 2011, the site endorsed by legendary poker pro Doyle Brunson. DoylesRoom was originally on the CakePoker Network prior to moving to the Yatahay Network. The Yatahay Network was the subject of various domain name seizures orchestrated by the U.S. Department of Justice (DoJ) in May of 2011, which came to be known as Blue Monday. The websites of True Poker and DoylesRoom that used dot.com domains still feature DoJ notices of seizure, and all Winning Poker Network skins now operate using dot.ag or dot.eu domains, which originate from Barbuda and Antigua. 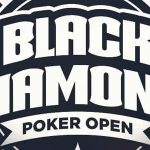 The legal turmoil casting a dark cloud over online poker in the U.S. at the time is said to be the reason for Brunson’s departure from the internet poker arena. It has often been said that the hallmark of a winning and great poker player is knowing the precise time to step away from the table and cash in your chips. Incidentally, DoylesRoom and True Poker were the only exclusive poker sites indicted on Blue Monday. Of the ten domain names seized, the other eight focused their services primarily on sports betting, online casinos and horse racing. Blue Monday followed the Black Friday seizures on April 15, 2011, that targeted the top three poker sites at the time of PokerStars, Full Tilt Poker and Absolute Poker. The only one of the three poker sites that has reimbursed its players and recovered from the DoJ seizures is PokerStars, which remains the world’s leading poker site even without offering its services to American players. Full Tilt ceased operations a couple months after the Black Friday fraud, money laundering and Unlawful Internet Gambling Enforcement Act (UIGEA) allegations that shocked the online poker industry. 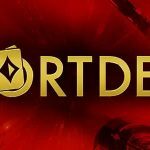 Absolute Poker, who together with Ultimate Bet combined to form the CEREUS Network, has lost 99% of its player traffic and is rumored to be near shutting down operations as well. 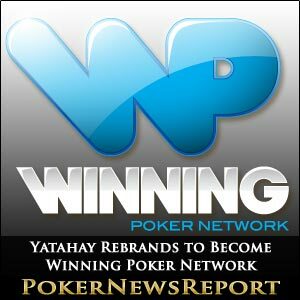 Yatahay’s rebranding follows the Action Poker Network’s announcement of a rebranding to the Chico Poker Network last week. Last month, Bodog announced a rebranding to Bovada strictly for players located in the U.S. Bovada, which is said to be derived from the names Bodog and Las Vegas, now operates under the domain of Bovada.lv.